Nickel Mountain is shapely and moving enough to make you believe, while you are reading it, in ancient forms and permanent truths. 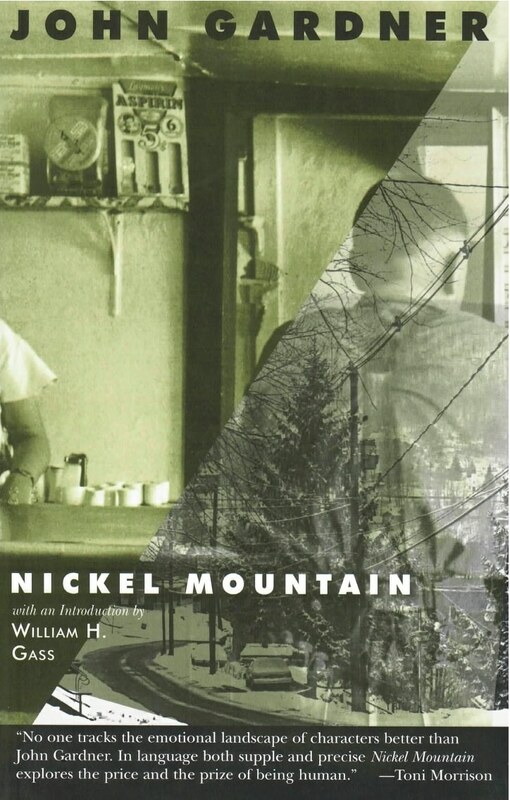 At the heart of John Gardner’s Nickel Mountain is an uncommon love story: when at 42, the obese, anxious and gentle Henry Soames marries seventeen-year-old Callie Wells–who is pregnant with the child of a local boy–it is much more than years which define the gulf between them. But the beauty of this novel is the gradual revelation of the bond that develops as this unlikely couple experiences courtship and marriage, the birth of a son, isolation, forgiveness, work, and death in a small Catskill community in the 1950s. The plot turns on tragic events–they might be accidents or they might be acts of will–involving a cast of rural eccentrics that includes a lonely amputee veteran, a religious hysteric (thought by some to be the devil himself) and an itinerant “Goat Lady.” Questions of guilt, innocence, and even murder are eclipsed by deeds of compassion, humility, and redemption, and ultimately by Henry Soames’ quiet discovery of grace. Novelist William H. Gass, a friend and colleague of the author, has written an introduction that shines new light on the work and career of the much praised but often misunderstood John Gardner.